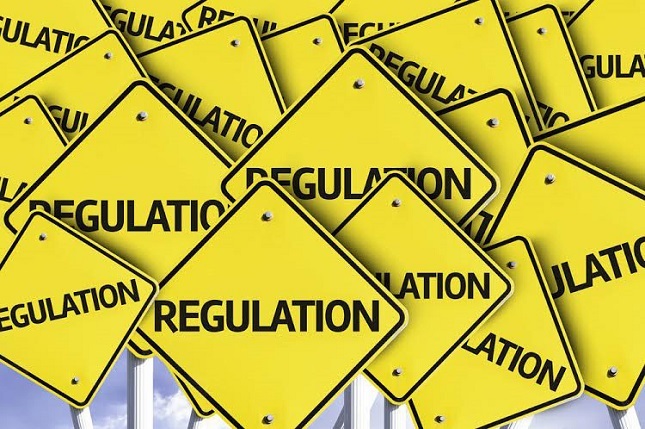 It comes as no surprise that the trucking industry is a heavily regulated and monitored industry. Some mandatory regulations are instated to protect the safety of the drivers themselves as well as the general public. Without some level of regulation and standards, the commercial trucking industry may become unruly and stilted. However, many drivers believe there is a breaking point in regards to too many regulations and restrictions placed on drivers. According to the FMCSA, 41 regulatory changes have recently been made. Many wonder at what point restrictions become oppressive and deter people from pursuing trucking jobs or consider leaving their current position. Within the past few years drivers have seen rules regarding reset times, physical standards for drivers, and an upcoming mandate on electronic logs across the board. This past summer also saw a potential threat of speed limiters and the looming advances (no matter how viable or unrealistic the threat) of self-driving vehicles. Many drivers feel that there are very few areas of their job that are not subject to yet another rule. One outlet to look at for this rise in regulations may be media sources that depict drivers in certain lights. The general perception of those who take CDL jobs by the general public is an individual who is isolated, unsafe, gruff and a servant to their machine. This could not be more untrue, and the jobs can certainly pose many issues of safety by nature, but the nation is inundated by awful reports of drivers who are seemingly up to no good. This urges the public and the powers that be to calm their fears with more rules to change an unfair depiction of drivers. Regulations also come down to a few bad apples that spoil the bunch. A reactive industry, when there is an inevitable collision or accident involving a truck, a great deal of finger-pointing begins versus alleviating the issue and resolving it in a more mediated manner. In other words, lawmakers see a handful of accidents as an issue to be dealt with across the board as opposed to a case-by-case scenario. Safety and productivity rules at their core aren’t bad news for drivers by any means. It’s when the lives and occupations of truckers become so heavily monitored that they feel scrutinized for simply operating a vehicle that some hazards arise. Many point out that the inflated number of regulations may be one of the reasons behind a shortage of drivers, both in recruiting new truckers and retaining veterans of the road. What is meant to promote a safer work environment that ought to encourage new talent soon turns into the exact opposite.